As homeowners, you are vulnerable to Mother Nature every day. Heavy rain and wind can damage shingles leaving them susceptible to leaks and leading to further damage within the roof system. Hail can do significant damage leaving holes and fractures in shingles that could allow the elements into your home and lead to expensive interior repairs. These three acts of God can do serious damage in a matter of minutes. Don’t assume that your roof is fine after a storm because it appears intact. Most storm damage is typically not visible from the ground to the untrained eye. The only way to know for sure the type of damage you have is to have a trained professional come out and inspect your home. 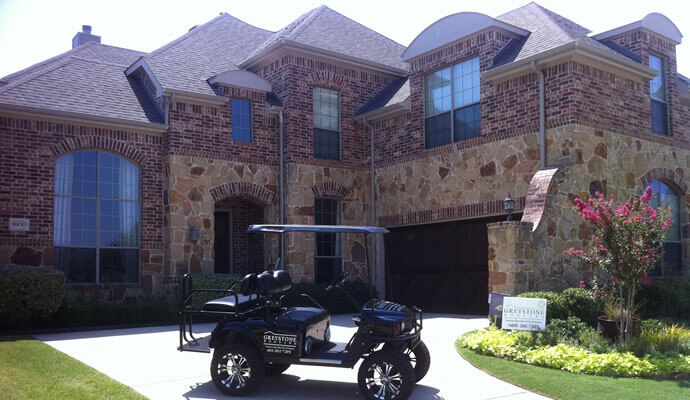 Greystone Roofing is a locally owned and operated company, with offices in Krugerville, Texas. We are actively involved in the community and will be here long after the storm chasers pull out of town. Let us perform an immediate and thorough inspection of your roof, at no cost to you, to determine if it is fully protecting your home.